I know I mentioned this before, concerning buying spices in the Hispanic section, you can often get great deals in the Ethnic section of the grocery store. 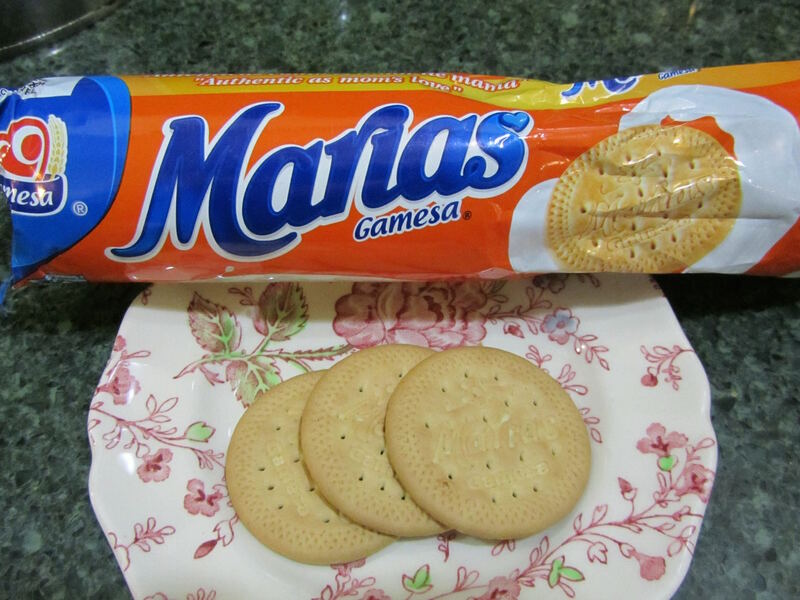 Well, this past week I tried some cookies from the Hispanic section. I have to say, these are delicious. They are a lightly sweet tea cookie. For 65 cents a package, they are a steal. I had been buying a similar cookie in the Kosher section. But the price on that brand has gradually inched up to 85 cents a package (about same size as the Hispanic ones). These are a bargain and I will definitely be buying more. I bought these at Fred Meyer. I didn't think to check the same section at WinCo, but my guess is they are even a few cents less there. Do you shop the ethnic food aisles? If so, what products or types of products are a good deal for you? Soy sauce is cheaper in the ethnic aisle at Meijer. Also, canned coconut milk is a LOT cheaper there. I will have to pay more attention to items I might find there! oh that is good to know about canned coconut milk. I'll keep that in mind. I do well with the soy sauce, as I buy it at a restaurant supply, in 1 gallon jugs. But for someone who either doesn't want that large of a container or doesn't have a restaurant supply nearby, that is a great tip for finding it on the ethnic aisle. I have found shopping a couple of ethnic stores saves me even more than the ethnic sections at traditional stores. I have both a huge Asian market and Latin Market within 3 miles of my house. It is worth the trips to both a couple of times a year to stock up. We have some Hispanic and Asian stores in our area, too. They can have great prices on produce. In the winter I can buy avocados at the Hispanic market for a fraction of what I pay at a grocery store. Great tip to go a few times per year to stock up on items. Great idea for a pie crust! I was also thinking these would also make great icebox cakes. Great tip for the different kinds of noodles. I've also seen large bags of dried mushrooms that look interesting. I live in a Hispanic neighborhood, with a lot of recent immigrants, so every store has an extensive section of foods imported from Mexico. I've found it to be a real mixed bag in terms of prices. Spices are definitely cheaper, though you have to know the Spanish names of them all. But staple things like beans and rice tend to be more expensive there than what you can find elsewhere. But I have found that the stores which cater exclusively to the immigrant communities do tend to be cheaper - though I stick out like a sore thumb when I'm there. One has to get used to a different selection of foods though - things like nopal cactus leaves, lard, and tripe are common in the Hispanic stores, while in the Asian groceries you find all sorts of strange things like chicken feet. Our WinCo is in an area of town with a lot of Hispanic immigrants. I had noticed that there was a pretty large Hispanic section in the store, with items that I don't see in other grocery stores, and not just in the "ethnic" aisle, but also mixed in with the bulk bins. I think you're right about some items being more expensive than in other sources, and I'm sure it depends on the store. For me, I can buy beans and brown rice in 25 and 50 lb bags at a restaurant supply for much less than any other type of market. One friend, who is from Hong Kong, tells me that white rice is super cheap at one of our local Asian markets. I don't buy much white rice, but if I ever do, I'll be following up her tip. My daughters and I used to go to the large Asian market in our area for a sort of entertainment. The labels on canned products were not in English, so we would take turns guessing what was inside. This is also the store where I buy tapioca pearls, as they are so inexpensive there. The large Asian market here has labels I can't read either and try to guess what it is. Most of the time I am wrong but I have found many of the women (especially the older women) who shop there really do like to tell me not only what some of the things are, but also how to use them. I have not had the same experience in the Latin market, but I found neither store cares that I look different from most of their customers. They take my money every time! Oh, what nice (and fun) women at the Asian market! That's great that you find good produce at such a great price at your Asian market! Next time I visit our Asian store, I'll pay closer attention to the produce department. So true! We were looking for Jasmine tea and could not find it anywhere. I decided one last trip was in order to the local Asian store and found boxes of them and their prices were only $1.65 or close to that per box. For a similar box of tea I would pay at least double or even triple that at a regular grocer. We also like their spicy ramen that come in a large square. It has some really delicious spiciness that we love. I notice they added a small area to serve food. HUbby is allergic to seafood so we stay away from that but I might take a daughter there when they are home. The big Asian market near us has a food court area. I've never eaten there, but maybe I should check it out. I'll also look for some different ramen soups. Thanks for mentioning that.